To help achieve clarity around OSHA and Health Canada’s current and future alignments with GHS, the respective agencies have issued new clarifications regarding how their resulting regulations may differ, and how compliance professionals can prepare. This builds on work earlier in the summer, when representatives from both OSHA and Health Canada participated in the thirty-first meeting of the UN Sub-committee of Experts on the GHS. 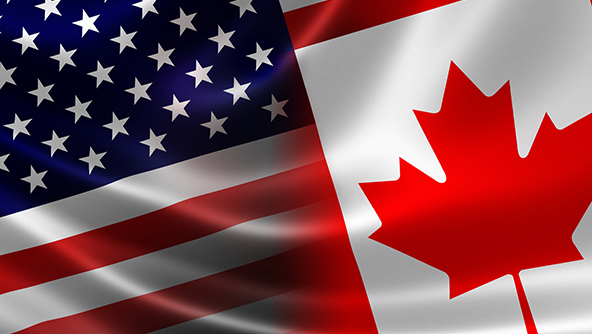 There, they discussed additional ways to create harmony between Canada’s alignment with GHS and that of the US. Also discussed at the UN meeting was Health Canada’s technical guidance document — Technical Guidance on the Requirements of the Hazardous Products Act and the Hazardous Products Regulations (Technical Guidance) — Phase I of a guide designed to help Canadian industry comply with WHMIS 2015 (Canada’s adoption of GHS). Phase I covers the classification and labeling of hazardous chemicals. Phase II is expected this fall or winter, and will focus on the physical and health hazards associated with chemical use. The document is not currently hosted online, but a copy can be requested on the Health Canada website. Technical Guidance Phase I includes details about SDS requirements, updated definitions of a ‘manufacturer, importer, distributor and supplier,’ and more. So if, for example, an OSHA inspector sees elements intended to satisfy Canadian requirements (like French in addition to English) there should be no resulting complication. We can expect more details when the second phase of the Technical Guidance document is released in the fourth quarter of this year. For more technical guidance on the requirements of Health Canada’s alignment with GHS, you can visit their dedicated webpage. In the meantime, if you need a bilingual resource for familiarizing Canadian employees with pictograms under Canadian GHS alignment, our new Canadian GHS Pictogram Poster — available in English and in French — outlines the 9 GHS Health, Physical and Environmental Hazard Pictograms employees and employers should be familiar with, as well as the Biohazardous Infectious Materials classification which is expected to be retained. The corresponding hazard categories expected post adoption are listed with each image. Print it out and put it up in your workplace for a quick and easy way to help keep workers informed and your workplace compliant!